This resource explores the text and context of the ancient legal principle of coverture, imported to the American colonies as a part of English common law, that severely restricted women’s political, financial, and personal rights. A woman, according to the law, was included in (or covered by) her husband’s or father’s legal identity; she did not exist legally apart from him. Coverture affected the lives of all American women. It has been diminished over time, but vestiges of it remain even today. Unknown artist, Sir William Blackstone, ca. 1755. Oil on canvas. National Portrait Gallery, London, Primary Collection, 388. This 1796 political cartoon satirizes a caning episode between Federalist and Republican congressional opponents during the Adams administration, as elected officials stood by, grinning foolishly. In the young government, a man’s honor—his character and reputation—were the main qualifications for office, leading to aggressive, personal responses to political disagreements. Congressional Pugilists, 1798. Etching on wove paper. 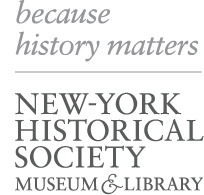 New-York Historical Society Library, PR 10. This exploration of Dolley’s sense of fashion shows both her taste for luxurious French fabric and her awareness of the political messages conveyed by her clothing choices. The combined message of her clothing and her personality—European style and New World informality—subtly signaled that the United States would take its place among the world’s great powers, but it would do so on its own terms. Dolley Madison’s Silk Satin Open Robe. The National Museum of American History, Smithsonian Institution. Dolley’s famous letter to her sister details the frightening hours before British troops invaded Washington during the War of 1812, and her rescue of the iconic portrait of George Washington. When Margaret Bayard Smith included the entire letter in her profile of Mrs. Madison, Americans celebrated Dolley’s wifely devotion and her patriotic bravery. Attributed to Gilbert Stuart, George Washington, 1796. Oil on canvas. White House Historical Association / White House Collection. This extract from the 1865 memoir of Paul Jennings, once enslaved by the Madisons, offers his recollection, more than fifty years later, of the British seizure of Washington City during the War of 1812. It directly challenges the version of events presented by Dolley Madison, including who actually saved the famous George Washington portrait. E. C. Perry Photograph Co., Paul Jennings, undated. Photograph. Estate of Sylvia Jennings Alexander. During the War of 1812, the British marched into Washington as the sun set on August 24, 1814. After setting fire to the Capitol building, they proceeded to the White House and torched it as well. Taking the British perspective of the seizure of Washington, this engraving shows the city in defeat and flames. At the conclusion of the war that December, Washington was in ruins. Should the government relocate to a different city? Would abandoning Washington send the wrong message about American strength and determination? Should the city be rebuilt? West Smithfield, Published by G. Thompson, The Taking of the City of Washington in America, 1814. Wood engraving. Library of Congress Prints and Photographs Division, Washington, D.C., 96510111.